In 1975, my father, Jack Hudson, was ready to retire from the real-estate business, but wasn’t ready to settle in on the back porch. He wanted to stay busy, so he built an antique store out of an old log tobacco barn. 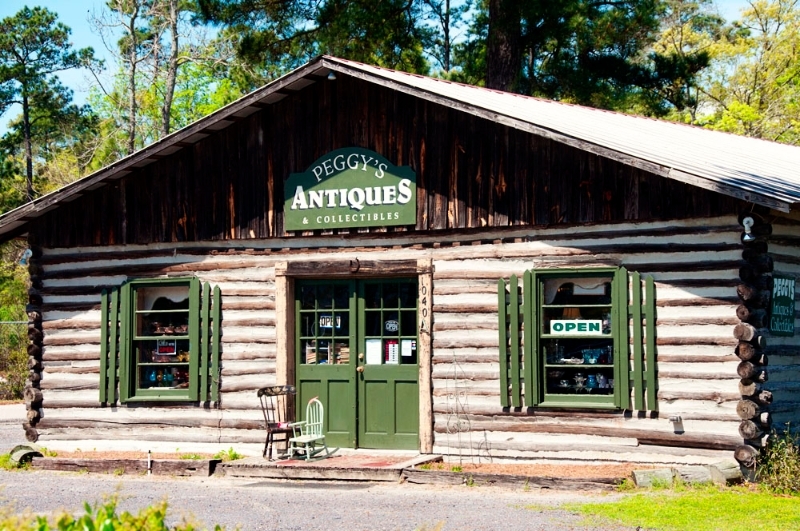 This became the original Log Cabin Antique Store and “Flea Market” after we built four tables out back. He opened on Easter in 1975. This was before the Grand Strand was littered with KMarts and Walmart big box stores. It was an instant success. A family friendly environment where fellowship was almost important as making “the deal.” Bluegrass music was played, peanuts roasted and tall tales were spun. Vendors and shoppers flooded in, and we grew to 175 tables. My father died in 1983, and never got the chance to see the new market that I built in 1990, providing over 400 spaces with 70,000 square feet under cover, making us the largest open air market on the Grand Strand. We also added The Market Place Church to give our vendors a place to worship before going to work each Sunday morning. The original Log Cabin still stands on the site and houses Peggy’s Antiques. 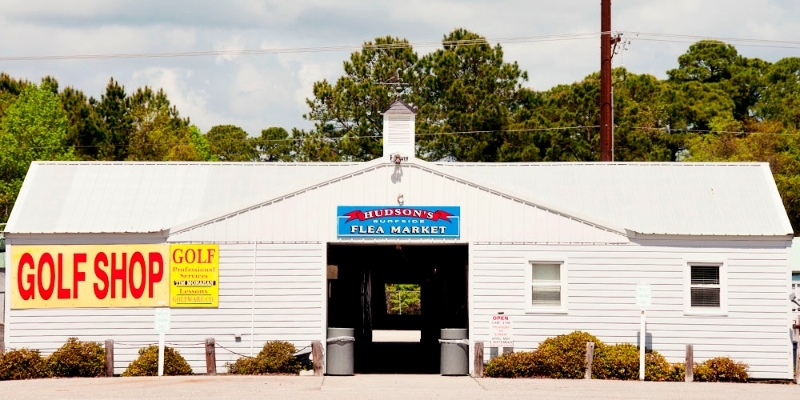 We are very proud of Hudson’s Surfside Flea Market. Millions of visitors come to the Grand Strand each year, and many of those visit our location. We have a great mix of returning “permanent” vendors and new comers selling EVERYTHING: Antiques, Golf Supplies, Jewelry, Clothing, Cooking Utensils, Hand Made Goods, Tools and Trinkets and everything in between. If you’re looking for something unique, have something to sell, or just enjoy wandering a friendly environment with good food, this is the place. Visitors award us the title of Best Flea Market on The Beach year after year in local publications. Hudson’s Surfside Flea Market is now operated by the third generation of Hudson’s, my sons Hayes & Josh. Next time you’re in the Myrtle Beach area and have some time, we’d love for you to come by and visit.